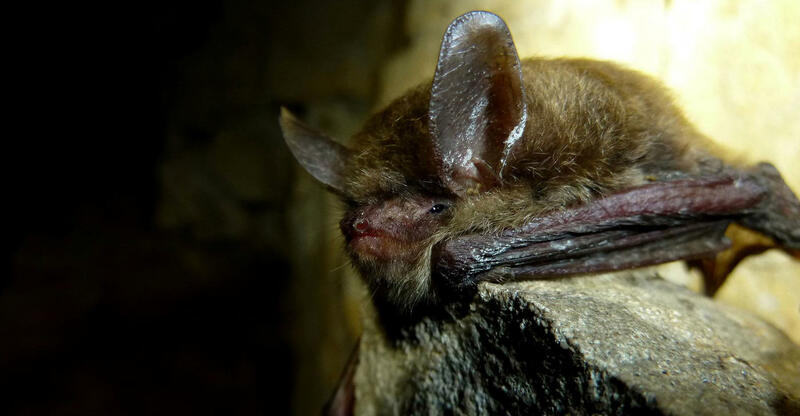 The United States Fish & Wildlife Service announced that the northern long-eared bat will officially be categorized as a threatened species under the Endangered Species Act. The bats are falling victim to a fungal disease, known as white-nose syndrome, in record numbers. Bats with white-nose syndrome develop a thick white crust over their muzzles; the fungus is estimated to have killed over 5.5 million bats since it was first documented in 2006. To date, more than $20 million has been allocated for white-nose syndrome research. "Bats are a critical component of our nation's ecology and economy, maintaining a fragile insect predator-prey balance; we lose them at our peril," said FWS Director Dan Ashe in a news release. "Without bats, insect populations can rise dramatically, with the potential for devastating losses for our crop farmers and foresters. The alternative to bats is greater pesticide use, which brings with it another set of ecological concerns." Bat swarms are an inviting target for hunting birds, but bats counter with cunning movements and sonar alarms.